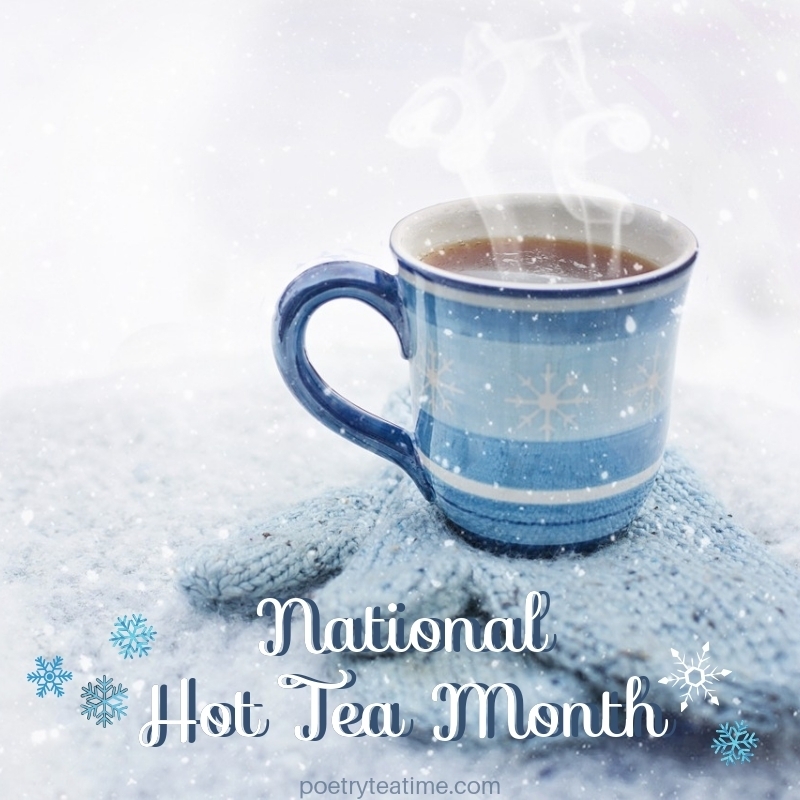 It's National Hot Tea Month! For those of us in the Northern Hemisphere, it's cold this month! January is the perfect time to cuddle under blankets and enjoy a warm cup of tea. In the US, January is National Hot Tea Month. To celebrate, we've collected some of our favorite tips, treats, and recipes from Poetry Teatime. Today we're going to look back at all of our favorite tea-related posts here at Poetry Teatime. So go ahead and brew a cup of your favorite hot drink, curl up in your coziest armchair, and let's get started! Whether you've just discovered Poetry Teatime and want to try something new this year or you've been enjoying tea with poetry for years, there's something here for you! How to Make a Quality Pot of Tea: One of the best ways to start poetry teatime is with a warm cup of tea. Learn how to make the perfect pot of tea for your teatime here! 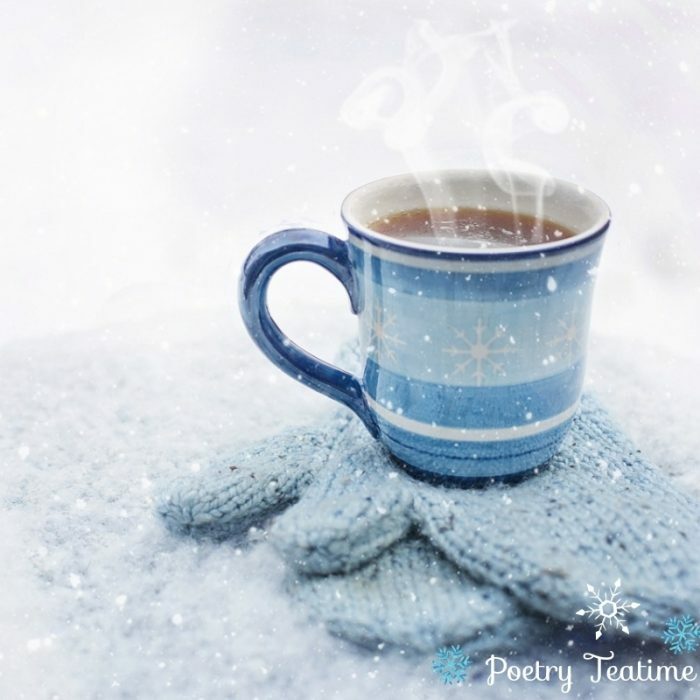 An Apologetic for Poetry Teatime: Take some time to remind yourself why Poetry Teatime can be a wonderful tool for bringing a language-rich environment into your family's weekly routine. Budget Friendly Teatime: Poetry Teatime doesn't have to be expensive and out of reach. Learn how to make teatime more affordable for your family. Pre-Made Mixes for Teatime: How can you make preparing a teatime even easier? With pre-made mixes for both tea and treats! What to Do with Teatime Leftovers: After your teatime is over, you can re-use and recycle the leftovers for a budget-friendly and environmentally great teatime. It can be so fun to learn about teatime traditions from around the world! So far, we've featured teatime traditions in places as far apart as Morocco and Japan, as well as lots about teacups. So let's take a look! Tea in India: Do you love Indian spiced tea, called chai, and want to learn to make your own? Check out this post to find out how! Tea in Russia: Russia has a very long history of making tea. If you don't know anything about tea in Russia, this is the perfect place to start. Tea in Japan: Japanese tea rituals are famous around the world for their careful and elaborate beauty. Learn more here! Tea in Morocco: Did you know that Morocco has a long history of tea? Sample Morocco's signature mint tea with recipes in this post! All About Teacups: If you've never thought much about the cups you use in your teatime, it's time to start paying more attention! In this post, you'll learn about teacups from around the world as well as lots of activities to do with your own teacups. Are you looking to spice up your Poetry Teatime with some new treats and drinks? Would you like to make your teatime easier to prep and clean up? Want some other drink options besides tea? There are ideas here for any occasion. Kid-Friendly Hot Drinks: Whether your family loves to drink tea or absolutely hates it, this post will give you lots of ideas for introducing other tasty drinks to your teatime. Tea for Colds: If you aren't feeling too well, tea can be an excellent drink for rejuvenation and health. Spices in Tea: Want to put a few unique twists on your tea? Check out these spicy and different tea ingredients and recipes. Frozen Treats for Teatime: Even though it's national "hot" tea month, let's not discount all the cold and icy options for drinks available during your teatime! Those are some of our favorite teatime treats, tricks, and techniques to try in the new year. We hope you enjoy your Poetry Teatime. Be sure to send us stories and pictures of your family's teatime here!